What kind of relationship exists between wars and epidemics? It is widely held that epidemics affected the outcomes of many wars and, until World War II, more victims of war died of disease than of battle wounds. Many disease vectors are present in times of conflict, including mass movements of people across borders and increased contact between persons of different geographic regions, yet disease is rarely treated in depth in histories of war. 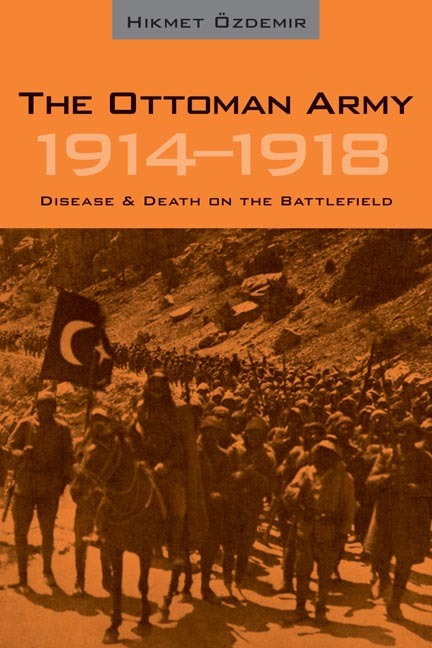 Hikmet Özdemir’s The Ottoman Army, 1914–1918 provides extensive documentation of disease and death across the Ottoman Empire during World War I, when epidemic diseases annihilated armies and caused civilians to perish en masse. Drawing on hospital records and information on regional disease prevalence, Özdemir examines the effects that disease and epidemic had on the outcome of the war. The information on disease mortality explains much that has never been properly understood about wartime events and government actions, events that only begin to make sense when the disease factor is considered. Rich in detail, this is an extremely valuable book that illuminates a facet of the war that has not been adequately considered until now. Hikmet Özdemir is research professor at the Turkish History Council in Ankara.